Book with us & qualify to earn travel vouchers. 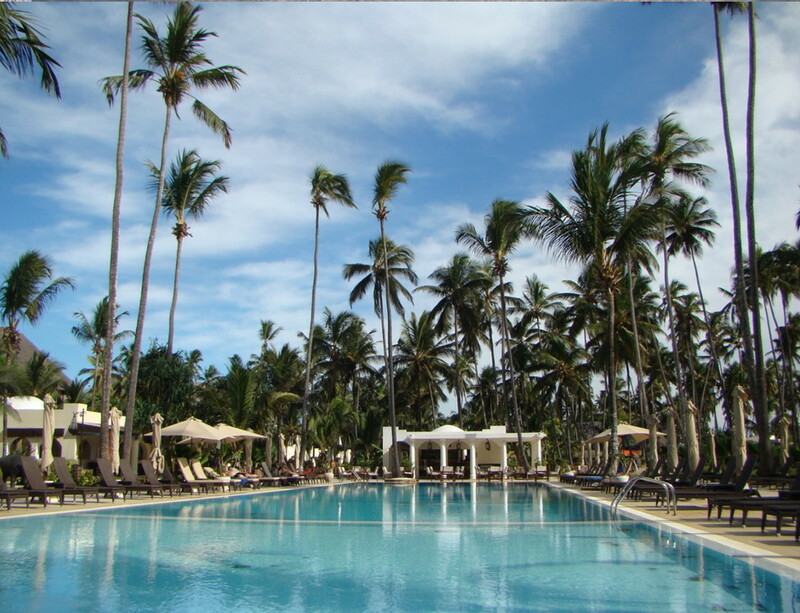 Email us a personal writeup of your trip to Zanzibar, and we'll send you a travel voucher. Help with Flight Quote - our travel consultants are itching to assist! Looking to lie in the sun and get tans in Zanz? In terms of travelling direct, there are only Mango flights from Johannesburg to Zanzibar You want to get on the cheapest flight from Johannesburg to Zanzibar (Tanzania). Compare flight prices to Zanzibar using the flight price comparison tool. The Grobbelaar family’s Zanzibar experience…From the beginning to the end, everything about our trip was exceptional. 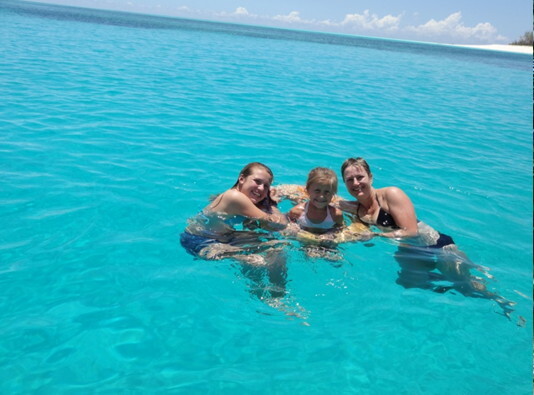 It started with a dream to have an island vacation as a family…And we are not the average family! As soon as I requested quotes for our ‘dream holiday’, I realized that to have 3 children are a blessing, but so much more expensive! With two children, no problem…to share the room. But with 3 “blessings” you have to book another room at a single rate! And then! The announcement…Mango is going to fly direct to Zanzibar!! And? …. And? … “the first 300 customers get free tickets!” We booked and pay. Now we had to get our inoculations and passports ready. You have to be inoculated for yellow fever a minimum of 10 days prior departure….and we were in time! And then we realized that the youngest daughter's passport will be expiring in a few days, and there are just three and a half weeks left!!! We rushed to the department of home affairs, and they assured me that her passport will be there on time. I trusted her! We were getting excited as the time went by…the getting everything from international plugs, sunscreen, snorkeling gear and mosquito repellent (which we never used!) But still we can’t leave Jessica and her passport is not ready yet. On Wednesday, 5 days prior to our departure our bags were piling up…But no passport for Jessica. And then the department sends me a passport collection sms!! I started to breathe again…. It didn’t cross my mind what would I do if there were some delay…what would I do??? Eventually we checked in and went for coffee at the Mugg and Bean. We waited for a bank to open, to get US Dollars. As soon as you arrive at Zanzibar, you must pay your visa in US dollars! Within the last 30 minutes before the gates closing, we rushed to get US dollars! With so many people with the same idea and long ques, we had to run towards the boarding gates. We made it just with seconds to spare! It was the kids first time flying, and they enjoyed the flight. After 3 flying hours and the +1 hour time difference we landed in Zanzibar…It was Mango’s first flight to Zanzibar and there was a big welcoming party waiting for us. After a long ritual, we stepped off the plane and received a warm (and very warm humid climate!) welcome. With coconut milk in our hands we filled out the forms, paid our visas, collected our luggage and took the bus to the hotel. “JAMBO …JAMBO! !” Zanzibar people are very friendly and helpful people. We soon realized that our “hi or hello” was not friendly enough! And we adopted their greeting very quickly! We went snorkeling, in the most beautiful ocean with turquoise waters and were lucky to see dolphins every time we were in sea! Barbequing on an island with crayfish and other mouth watering dishes was also a highlight. Sea shells as far as the eye can see and “satin feel” beach sand kept the youngster busy for hours! Eight blissfully sun filled and relaxed days were soon only a memory! SUN, SAND, SEA and SPICE = ZANZIBAR! Private taxis are expensive unless you're splitting the bill amongst several people. A cheaper option is to join the locals and take a dala-dala, (a minivan or pick-up) or a mabasi (flat-bed trucks with a with a seated area under a canopy on the back). Most travel agents offer package specials for holidays to Zanzibar. Not just South Africa Travel Online, but also Computicket, Flightsite and Club Travel. In December 2013 Mango Airlines added adding 2 weekly Johannesburg to Zanzibar flights. 15 Jan 2013. CEO of Mango Airlines mentions the possibility of flights to the east African seaboard within the next 18 months. 2 Nov 2012. 1time airline files for liquidation and stops flying from JNB to Zanzibar. 17 Sep 2012. Precision Air quits flying from Johannesburg to Zanzibar. July 2012. Precision Air commences direct flights from JNB to Zanzibar on Fridays. Flights are scheduled to leave Johannesburg at 13h30 and arrive in Zanzibar at 18h00. 29 Mar 2012. 1time increases its frequency from 2 to 5 flights a week between Johannesburg & Zanzibar, in the months of March, April, August, September, October & December. 2007. 1time starts flying the Johannesburg - Zanzibar route, with one flight a week.